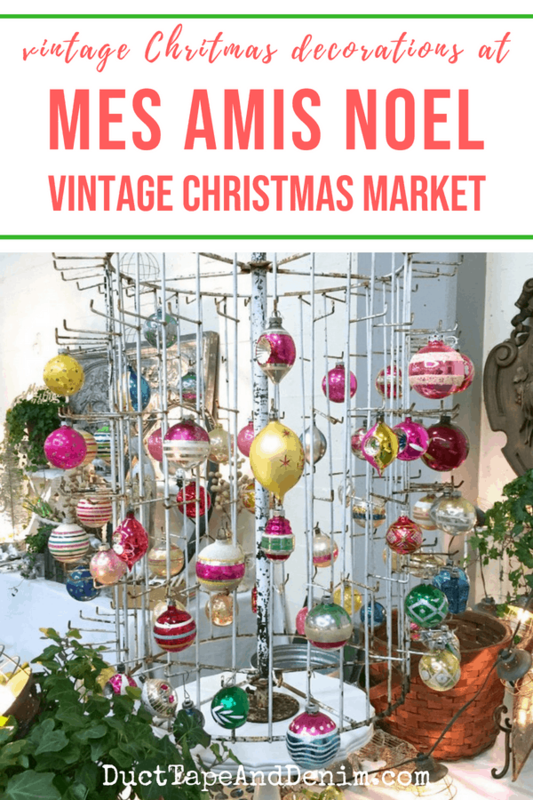 As I started working on my Christmas in July projects for the blog I realized that I had never shared photos from the Mes Amis Noel Vintage Christmas Market from TWO YEARS ago! What happened? 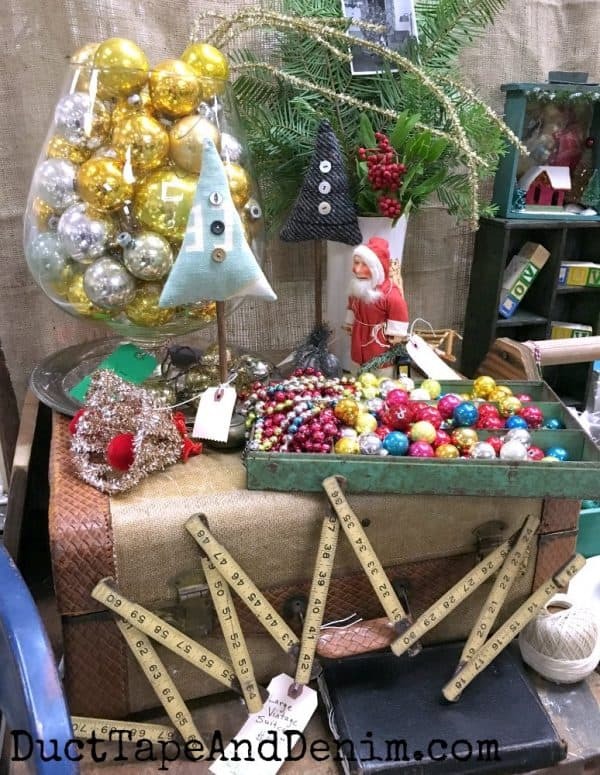 Anyway, today’s post is filled with vintage Christmas “eye candy” that will hopefully inspire you to create some Christmas crafts or vintage Christmas vignettes for your home. Enjoy! How can Santa look so mean? My daughters always called these “Evil Santa”. 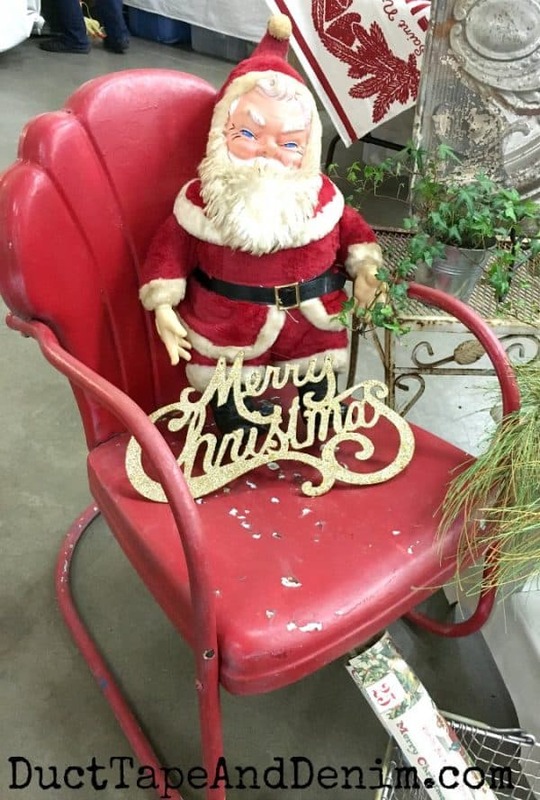 I don’t think I’d want this vintage Santa in my house but that old metal chair now… wouldn’t it look great on a front porch? And my absolute vintage Christmas weakness is Santa mugs!!! I love ’em all. And y’all know I love vintage Shiny Brite ornaments. I wrote a whole article about how to display them in your home. 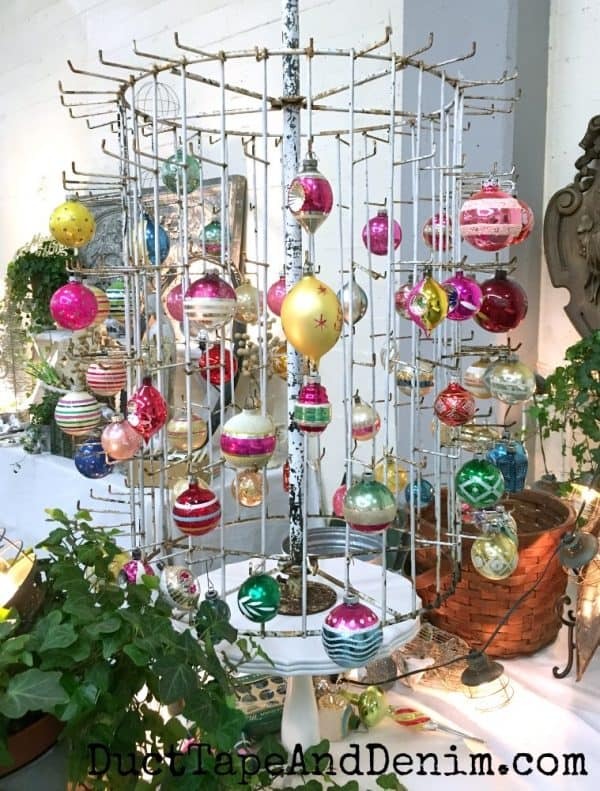 Unfortunately, my home wasn’t big enough for me to buy this display, even though I have enough Shiny Brite ornaments to fill it up. What’s your favorite thing in this photo? 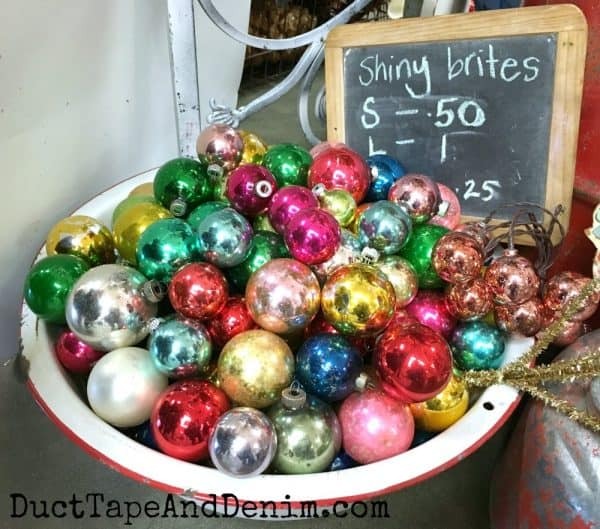 gold and silver Christmas balls? 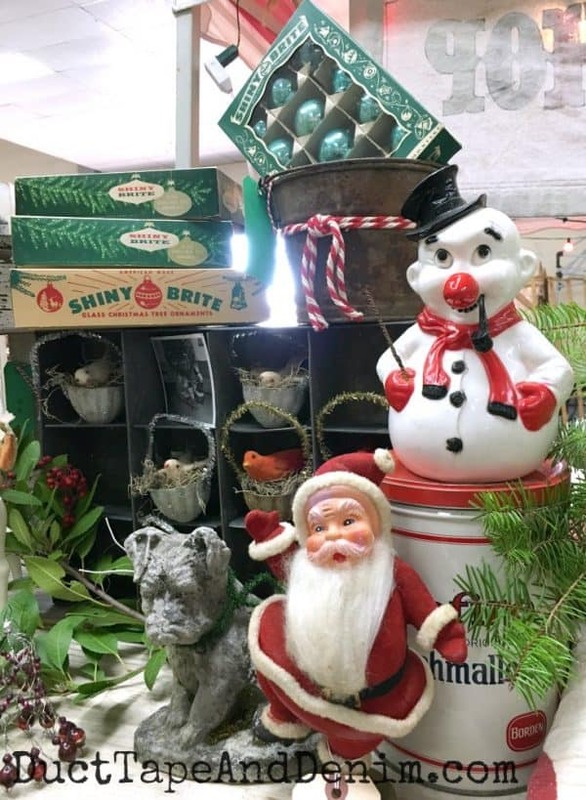 vintage Santa? handmade fabric Christmas trees? all those tiny glass Christmas ornaments? or the vintage yardstick? 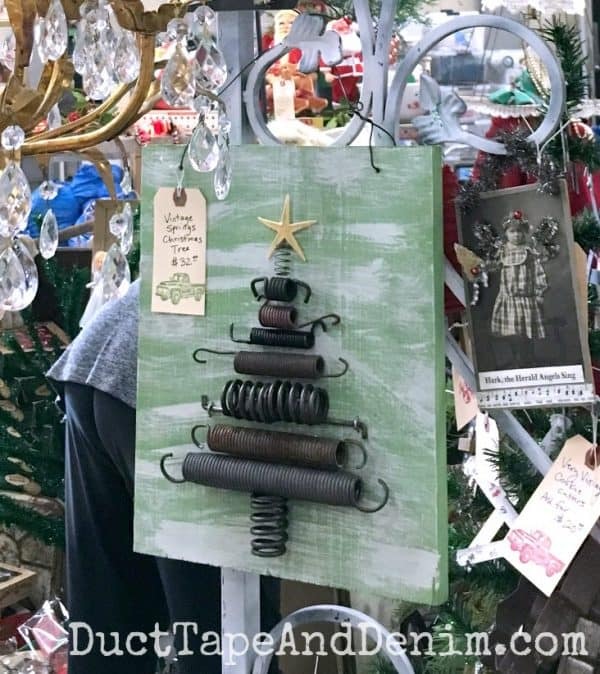 I’ve been collecting springs to make a Christmas tree link this. I might have enough junk this year to make a couple. 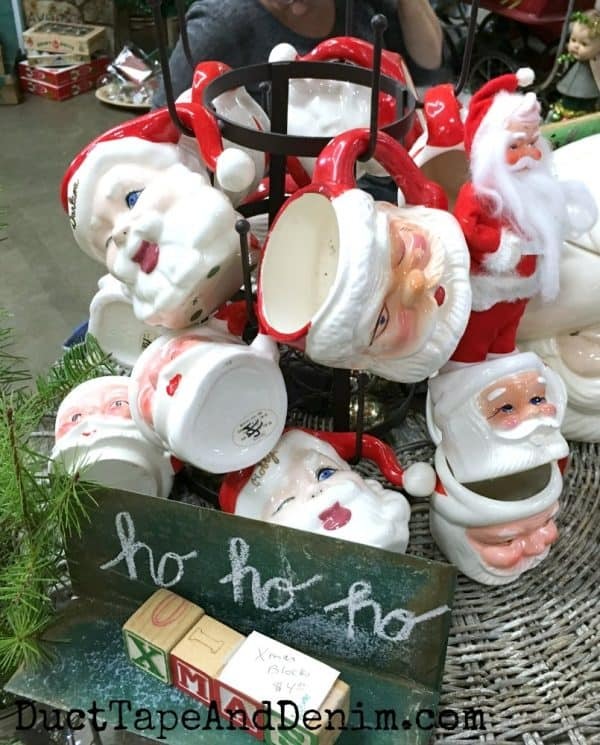 OK… this Santa doesn’t look evil. Just a little goofy. (And so does Frosty.) But I’m in love with the Shiny Brites! I always make a few things with Scrabble tiles for my vintage Christmas shows. Scrabble tile ornaments are one of my favorite things to make.